Project MG 129 hails a whole new era for the Cantiere delle Marche. 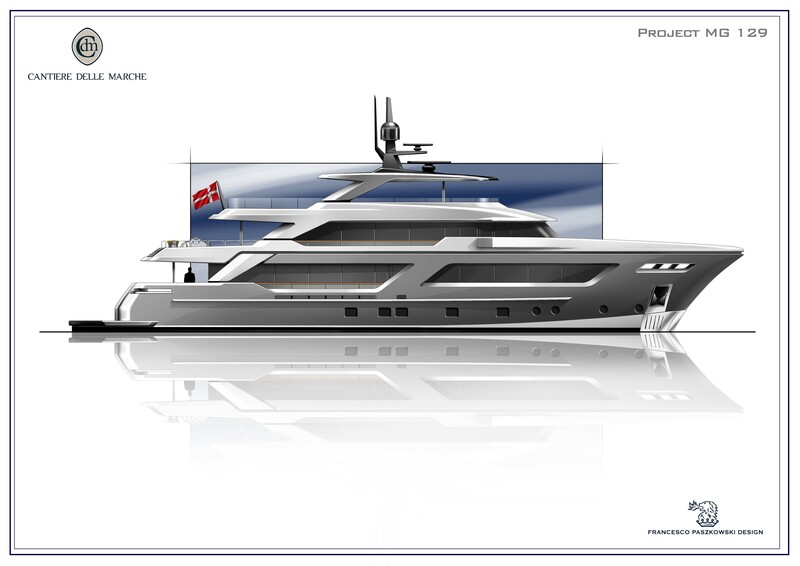 It marks the start of a new partnership between the yard and Francesco Paszkowski’s studio which penned the exterior lines and interiors. It also introduces a new concept of elegance to the often spartan explorer vessel world. The yacht’s Northern European owner has other boats but wanted a vessel he could be confident could cope safely in all kinds of sea conditions yet also deliver on the style front. And it looks very like Paszkowski has given him what he asked for. 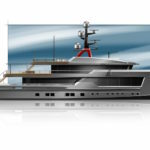 Stretching 39.4-metre in length and 7.8 in the beam, Project MG was engineered by the yard’s long-term collaborator, Sergio Cutolo of Hydrotec.